Interview with John Sellars for Stoic Week. Q: How would you introduce yourself and your work to our readers? I’m an academic. I went to university in the autumn of 1991 to study philosophy and a quarter of a century later I’m still there. I spend the bulk of my time reading, thinking, and writing about philosophy. Q: How do you currently make use of Stoicism in your work? Much of my academic work has focused on Stoicism and its later influence. I’ve written two books just on Stoicism, edited two books dealing with the later influence of Stoicism, and I have just finished writing a new book covering all of Hellenistic philosophy which inevitably contains a hefty dose of Stoicism alongside Epicureanism and the other things going on in the period. Q: When and how did you first become interested in Stoicism? I think a number of different things pointed me towards Stoicism when I was first studying philosophy. Two philosophers who caught my imagination early on were Nietzsche and Spinoza. Nietzsche himself acknowledged the connection while also being very conscious of their differences. I quickly found studies of both connecting them with Stoicism. So I was curious about what the philosophical common ground might be. At the same time I was studying Greek philosophy. I admired Socrates immensely in Plato’s early dialogues but had no time for Plato’s metaphysics or his politics. I was drawn to Diogenes the Cynic as an alternative follower of Socrates. Ancient Cynicism is entertaining but there is not much to it; what I read about them said that they had influenced the Stoics, who were serious philosophers. I also remember reading somewhere that there was one philosopher from antiquity who embodied the spirit of Socrates without being a Platonist who also deeply admired Diogenes, and his name was Epictetus. So I first read Epictetus as an heir to Socrates, not even fully conscious that he was a Stoic. I also read Marcus Aurelius around this time, again not fully conscious that he was a Stoic, but it didn’t take too long to start joining all the dots. Q: What’s the most important aspect of Stoicism to you? One of the things I admire about Stoicism is what we might call its ‘reality principle’, to borrow a phrase. Both Epictetus and Marcus continually insist that we face up to the reality of both particular situations we find ourselves in and the human condition in general. We cannot control every aspect of our lives, sometimes bad things happen and we just have to accept it, we cannot control other people and how they behave towards us, we cannot avoid the fact that we shall die and so will all our loved ones. These are just facts. I particularly like the idea that it is by studying Nature and understanding better how the natural world works that we can come to accept these as simply parts of the natural order of things rather than great tragedies or sources for melancholy. I think that connection between ‘physics’ and ‘ethics’ is important; you find the same connection in Epicureanism, which I also admire. Q: In what ways do you think Stoicism still matters today? The later Roman Stoics whose works survive (Seneca, Musonius, Epictetus, Marcus) deal with the sorts of issues I have just mentioned. These are perennial issues connected to the human condition. As such they remain as relevant now as they have been since they were first written. These are issues that any reflective person will think about from time to time and so everyone can benefit from reading their works. That doesn’t mean that I think everyone ought to ‘become a Stoic’ (whatever that might mean), but reading their works creates an opportunity to reflect on the sorts of issues they address. It is also a way of reconnecting with a classical tradition of thought that has been a vital part of Western culture for centuries but more recently has fallen off typical educational curricula. Many people encountering Stoicism for the first time are struck by how familiar some of the ideas seem, perhaps unaware of the influence Stoicism has had on so many different parts of our shared culture. That’s a difficult question to answer. Has reading about Stoicism changed me or did I simply find something that resonated with my natural predispositions? I certainly don’t ‘practise Stoicism’ in the way that I know some people do. But I have had a number of sustained periods just reading Stoic authors day after day, week after week, over the past twenty years and I have no doubt that a fair bit has been internalized along the way. I think that Seneca’s On the Shortness of Life has probably helped me fight procrastination on more than one occasion! Q: What’s one of your favourite Stoic quotations and why? Of man’s life, his time is a point, his substance flowing, his perception faint, the constitution of his whole body decaying, his soul a spinning wheel, his fortune hard to predict, and his fame doubtful; that is to say, all the things of the body are a river, the things of the soul dream and delusion, life is a war and a journey in a foreign land, and afterwards oblivion. In occasional moments of stress this firmly puts everything into perspective. Nothing that will happen today is of any consequence at all in the larger scheme of things. While I have heard some people say they find this depressing, I have always found it liberating: ‘don’t sweat the small stuff… and it’s all small stuff’. Q: What advice would you give to someone who wanted to learn more about Stoicism? To be honest I would say just read the Roman Stoics, especially Epictetus, Marcus Aurelius, and Seneca’s shorter essays and letters. They are all readily available in cheap paperbacks. To learn more about the wider philosophical system on which they are drawing (and the earlier Athenian Stoics whose works are lost) there are a number of introductions, including one by me. I particularly like Johnny Christensen’s little known An Essay on the Unity of Stoic Philosophy, first published in the 1960s and recently re-issued by Museum Tusculanum Press of Copenhagen. It is only short but quite advanced and so only suitable for people already familiar with philosophy. It gives a good sense of the philosophical system that stands behind the practical advice of the Roman Stoics. And then, of course, there is Stoic Week, which is a good way to jump in and learn more about what following Stoic advice might actually involve. Q: Do you have anything else that you wanted to mention while we have the chance? Don’t let any preconceptions you might have about Stoicism put you off; they are probably false! Even if they turn out to be true, the encounter will itself be a valuable opportunity to think about some important topics. Don’t assume that Stoicism is an all or nothing affair; it is a philosophy, not a religion. The ancient Stoics often disagreed with one another about a whole range of topics, so there is no reason why you cannot learn from the bits you find plausible and ignore the bits you don’t. Too many people seem to fall into the trap of thinking they must be either true believers or dismissive cynics. 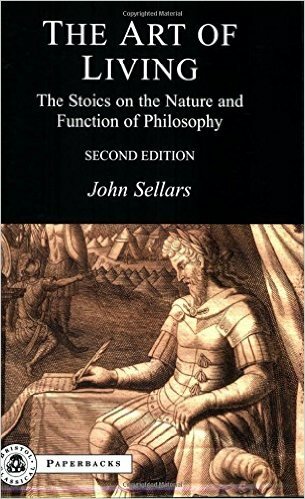 John Sellars is the author/editor of several books on Stoicism. He wrote The Art of Living: The Stoics on the Nature and Function of Philosophy and Stoicism (Ancient Philosophies). 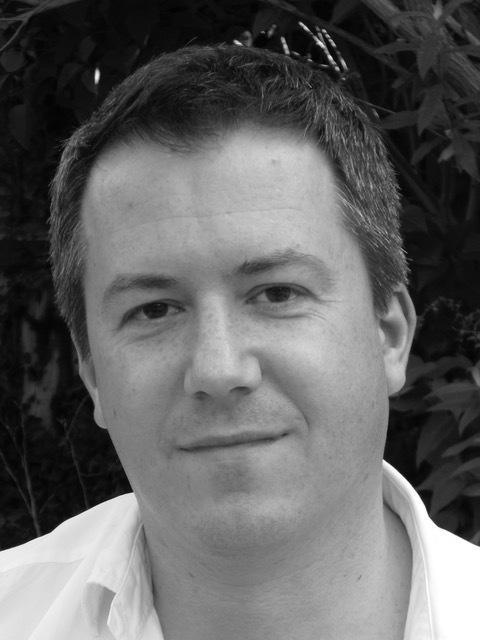 He is also editor of The Routledge Handbook of the Stoic Tradition.